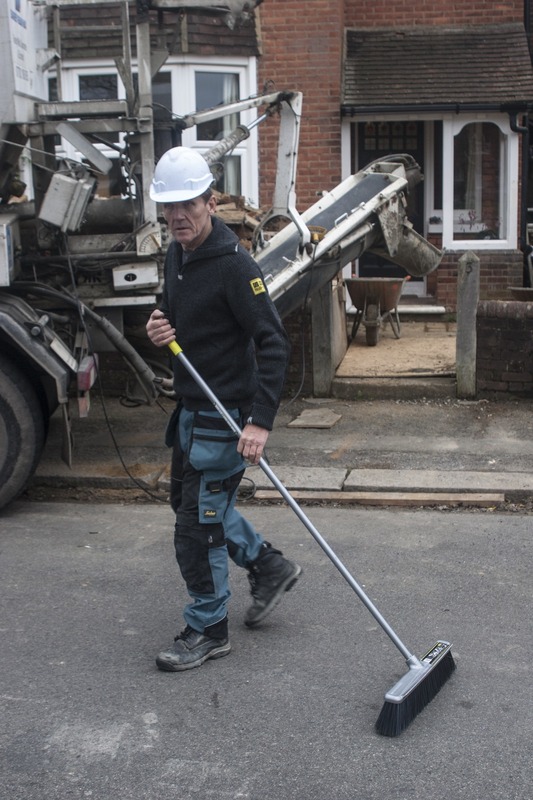 Skill Builder’s Roger Bisby tries out the latest offering from Faulks; the Gorilla brooms range. Gorilla tubs, you’ve heard of them I’m sure, well these brushes and brooms come out of the same Faulks stable, except of course you don’t keep Gorillas in a stable. 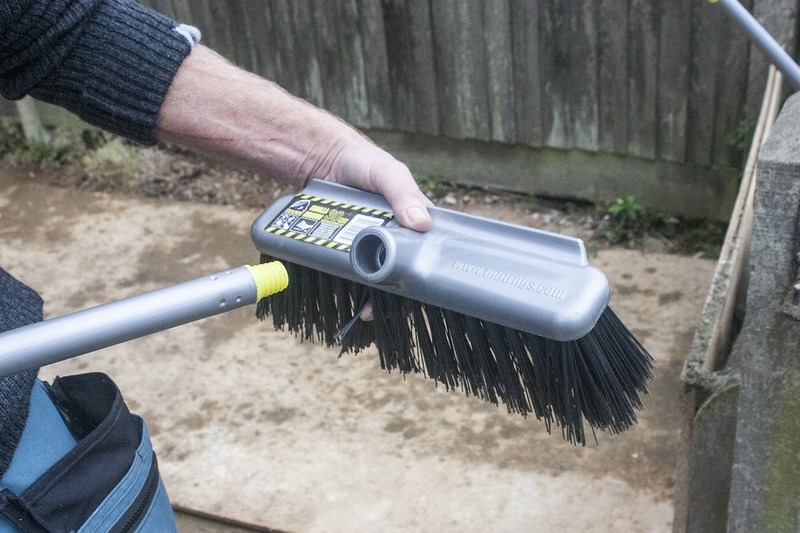 The approach with the brooms is exactly the same as the tubs, find a problem and design a product that solves it in one fell swoop. So just as the Trug Tubs looked at the humble bucket and worked out what was wrong with it you can ask yourself what you don’t like about brooms. It is easy to answer; the heads fall off and the handles also disintegrate usually right in the middle of the job. As Trigger observed in Only Fools and Horses, if you keep replacing the heads and the handles a broom will last you forever. Gorilla sells the handles and heads separately and in different colours for the domestic garden market but we went for a serious colour. The heads and handles are made from lightweight but extremely strong cut. resistant plastic that is slightly pliable so it will flex. The handles screw very securely into the heads on a large pitch nylon thread. The nylon bristles are also well attached so you shouldn’t suffer the same kind of bristle drop that affects some wooden heads. The range includes hard yard brooms as well as softer brushes and hand brushes. I particularly like the combined rubber scrubber and squeegee. It would be great for wet rooms but I am sure it will also be good for slippery patios. Having given these Gorilla brooms a go I really can’t fault them in any respect and I certainly can’t see myself returning to the heavy wooden heads. These brooms are not expensive so there is nothing to hold them back and I can see them flying off the shelves of merchants. No doubt, like Gorilla Tubs they will have their imitators but, like the tubs, making them strong enough to stand up to building site use is a whole different game to the garden centre market. These are serious tools.